It was that time of year when ambitious students print up their zines, tastefully display their most shocking art, and try to earn a bit of beer money. It was time for the Feria del Libro de Manizales. The Manizales Book Festival had its main installation on Santander Avenue, outside the Palogrande Campus of the University of Caldas. Along the large, white building were tents and book vendors from all the main bookshops in the city. In between those were stalls of secondhand and special interest books. However, my favorite part of the book festival were the student stalls in the courtyard of the building. There were around 15 of these little cardboard stands filled with cleverly designed notebooks, buttons, and zines. 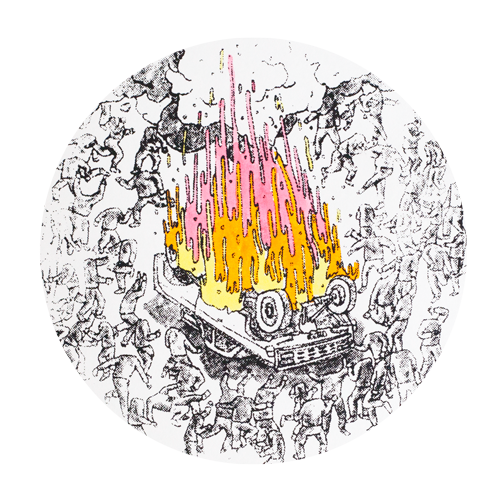 The first purchase I made was a screen print of a burning car from a vendor named Tyrannus Melancholicus. I was kind of surprised that even though it was an original piece of art, it was still cheaper than a paperback book. The same designer also had a zine about bread and a corresponding collection of cute buttons. 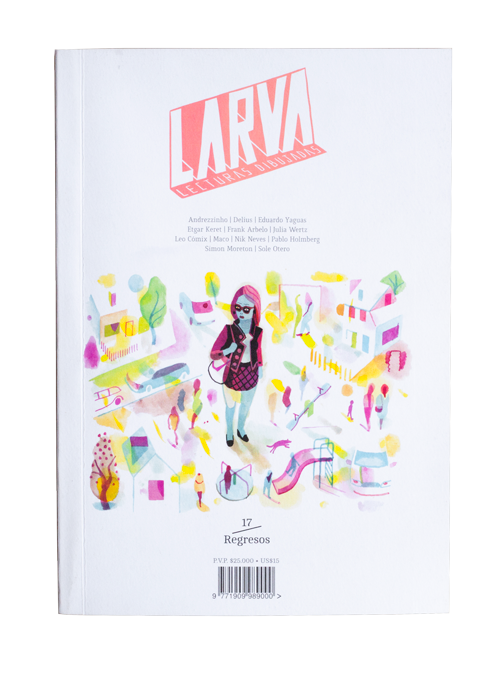 Another exciting discovery we made was of a publication called Larva. Barret had been wanting to find graphic novels in Spanish to practice reading, but the hardcover volumes we found were a bit too pricey to justify their purchase. Larva, however, was not only on sale but it was also a sample of some of the best comic artists in Latin America. 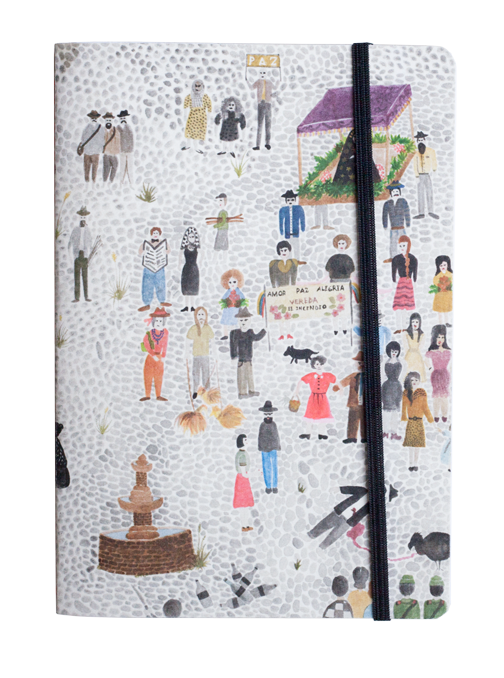 The last purchase I made was from a Medellín-based designer called La Libretería Ediciones. At first glance, the cover of the notebook appeared to be a watercolor of a very busy public square. Then I noticed the dead man leaking blood on the cobblestones while two soldiers looked on. I loved the contrast between the softness of the media and the actual content of the imagery. I hadn’t bought nearly as many books as I had hoped to, but I did walk away with a lot of work by Colombian artists. And I count that as a definite success.